In this blog you’ll find all about the legendary Super Touring Cars of Class 2 or Class II. SuperTouringCars is a motor racing category defined for national touring car racing in 1993 based on the “2 litre Touring Car Formula”. The cars looked like regular road cars, while expensive changes. The SuperTouring cars were required to be a minimum of 13.8 ft (4.20 metres) in length, with four doors, effectively requiring a small family saloon car as a minimum. No more than 2000 cc engine capacity or six cylinders. For homologation, initially at least 2500 units of the model used must have been produced. This is one of five body shells which were constructed by 888 engineering for official Vauxhall Racing Team UK for drivers Muller, Plato and Radermacker for BTCC season 2000. This is the last 888 evolution of Super Touring Cars ever made. The car was never damaged and now is still in mint original condition due to perfect maintenance. Moreover car is carefully guarded. Very very fast car due to SPIESS Engine Number SP30024 (630km in season2015) which was one of the last step SPIESS engines that were produced for the STW and BTCC cars (only 30 was made). In 2015 car was driven in FIA central European Championship – 10 races 9 wins, 10 poles. Engine control unit (ECU) Bosch 2.8.2 and dash DDU2 were rebuilt by Bosch Motorsport in Germany. After engine was rebuilt by SPESS motorsport in Germany,mapping was optimised on the motor bank by Spiess Engineering and power digram shows 310HP at 8400 rev/min. Sequential gearbox X-TRACK 306 was totally rebuilt with new oil pump, all bearings, dog rings, clutch bearings etc. Gear cut working perfectly. Most uniballs were changed and suspension is in the excelent condition. -48 gear ratios in excelent condition. -Many shims plates for adjustment rear negativ camber. -Pair of front disc plates with side small holes for less agressive braking for wet race conditions. 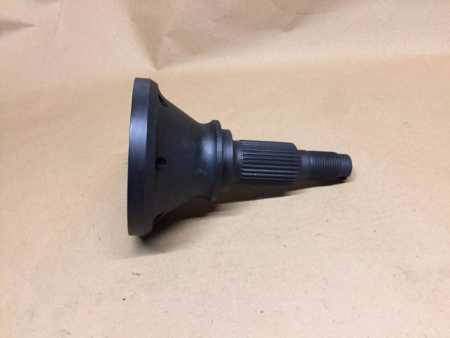 -Many small very usefull spare parts like uniballs etc. The HSCC organises racing at some of the country’s leading circuits as well as hosting races internationally. Provisional classes ST1, ST2, ST3, ST4, G1, GA2 and GA3. Click here to see more details SUPERTCC.com. 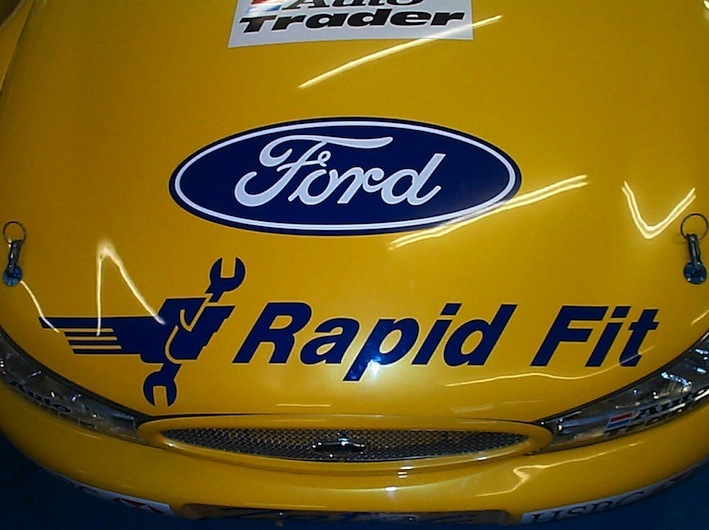 Reynard Mondeo sind wohl nur in der BTCC 1997 gefahren worden von Will Hoy und Paul Radisich, 1998 von Nigel Mansell, Will Hoy und Craig Bird sowie in der STCC von Mattias Ekström und Stig Blomquist. The ex. Uwe Alzen 1999 works car RV 15 run with Warsteiner sponsorship. This was the Championship winner in 1999, freshly painted, engine and gearbox zero hours, everything fresh and new. This car was transferred to Opel Sweden in 2000 and was then sold to Serbia for Hillclimbs. The current owner bought the cars in 2013 did two track days and then has had it fully restored. The car will come with some spares. The Uwe Alzen 1998 works car RV 10 run with Paulaner sponsorship, the car came 3rd overall in the German Championship. 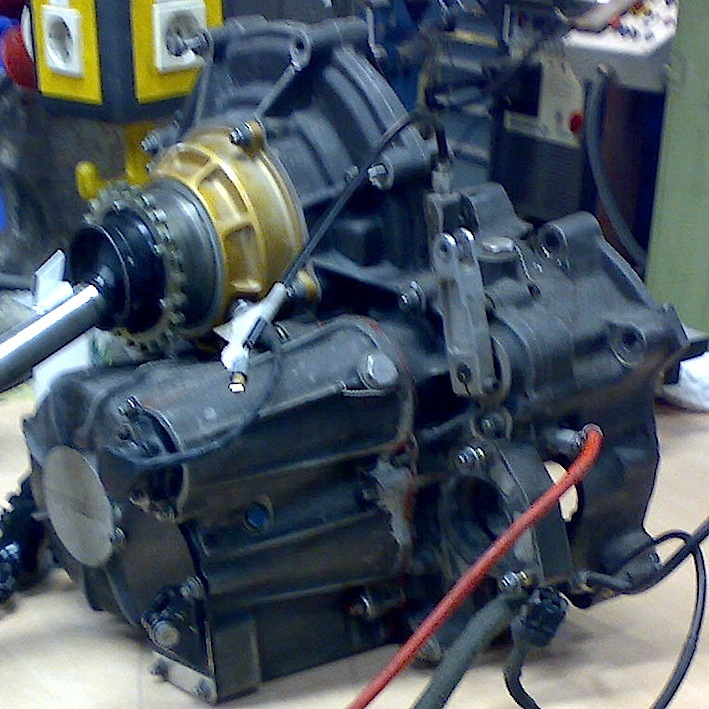 It has been freshly painted and the engine and gearbox have been totally rebuilt and have zero hours use, they haven’t yet been installed in the car. Substantial package of spares including cache of engine, suspension, bodywork and wheels. All other misc. supertourer parts considered. Chassis Number 98-P11-44 ex-Works Nissan Touring Car has been professionally maintained. 2015 engine rebuild and has run both very competitively and reliably this season without incident. All the usual Super Touring specification, including a flat shift sequential gearbox, high tech electronics and state of the art brakes. Priced to sell today, these cars were built in an era where the build cost regularly ran to seven figures. 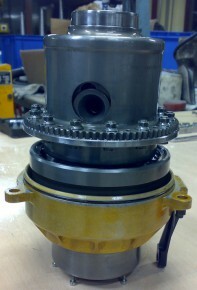 The spares included are a set of wheels and gear ratios. A comprehensive spares package can be be acquired post sale including; bag tank, doors, all body panels, all four corner suspension components, front splitter with built in undertray, driveshafts and a further 8 wheels. There is even a 1998/99 showcar (minus engine and gearbox) available! Chassis no.99/04 was the last ever built and was prepared for ex F1 driver, Jean-Christophe Bouillon, to race alongside multiple champion, Jason Plato for the 1999 season. A small spares package consisting of 2 front wishbones, 8 wheels, numerous gear ratios, 4 front and 2 rear brake discs, 2 front splitter skid plates, various steering rack shims and a ballast tray. Fully rebuilt in 2014 and only one race since at the Silvesrtone Classic 2014. Wheels around 5 Sets Inc. This ex-works, Repsol liveried, Nissan Primera was driven in period by Eric van de Poele (29 Grand Prix starts with Modena, Brabham and Fondmetal) in the 1996 Spanish Touring Car championship taking 5th overall with 2 outright wins that season. For 1997, with factory support it was entrusted to Vaclav Bervid in the Central European ST championship, finishing second overall with 6 wins, 3 poles and 7 fastest laps. In 1999 the car was returned to the UK, and raced by Keith Butcher and Derek Hales in the Formula Saloon championship, that was the forerunner to the, now very popular, HSCC Super Touring Car series, that for 2015 will race at Silverstone Classic and as part of the BTCC / TOCA package. This Nissan, chassis 23, was designed and built by the team at Nissan Motorsport Europe, and was the design that dominated in British Touring Cars, taking the championship outright in 1999. The car has now been returned to its original Repsol Spanish CET livery in readiness for a season in Super Tourers. Technically, the car boasts an incredible spec with a fresh 300bhp, reverse head 8 injector laid back engine coupled to a 6 speed Hewland sequential gearbox with interchangeable ratios, all run by a Pectel T6 2000 ECU and Aim dash. Front and rear roll bars are adjustable from the driving seat with power steering and twin caliper AP water cooled brakes being other features of this incredible bespoke Super Touring Car, that in 1996 would have cost around £250,000 to build. As part of the sale there is a large spares package including 6 wheels and tyres with wets, wheel nuts, body panels, gearbox spares (18 ratio sets), an air jack lance and various suspension parts. The history file contains FIA homologation papers, gearbox drawings and a season of set up data from the central European Championship. DOCUMENTATION INCLUDING CIRCUIT/ SET UP DATA FROM 97 AND 98 HOMOLIGATION PAPERS, LOG BOOK, GEARBOX PARTS BOOK, RATIO SPEED CHART. RML has an unrivalled reputation for designing and building Championship winning Touring Cars for National, International and World Championships. This Cavalier is Chassis #014 and was built in 1993. It was the third car RML built for Ecurie Ecosse, primarily for Philippe Adams to race at the Spa 24hrs in 1993 with Bernard De Dryver and David Leslie driving. The race was stopped and abandoned as a mark of respect following the death of the King of Belgium. The car was later raced in 1993 by Chris Goodwin in the BTCC with Ascom sponsorship. It was purchased by the current owner in 2007, dry stored until late 2014 and is now in the final stages of a bare chassis refurbishment. It will be presented at the Silverstone Classic Competition Car auction freshly finished and decaled in its 1993 Ascom Livery. The car will be sold with a quantity of spares. Final fettling and set-up, as well as new components such as the fuel tank and competition seat to comply with current regulations will be left to the new owner, as will the usual checks and preparation before #014 recommences its racing life. Offered here is an Audi A4 Super Touring car built in 1995, although not raced until the following year, when it was campaigned in the ’96 ADAC Super Touren Wagen Cup by respected German team ABT Sportsline, and piloted by Danish racer Kris Nissen. Chassis number ST05 was then raced in the 1997 FIA Cental European Zone Super Touring Championship in the hands of Josef Venc with some success. For a brief period between 1998 -1999 the car is believed to have been used in Sweden, before being picked up in 2002 by Tyssline Racing to run in the Swedish SLC Championship. 2003/4 saw a change of ownership when chassis #ST05 was purchased by the Spanish racing team, B9 Racing to prepare and race in the Spanish Hillclimb Championship for a number of seasons. Purchased in early 2015 by our vendor and raced at Castle Combe in April of this year and Donington Park in May, the car is now being repainted and liveried to emulate the famous works BTCC car driven by Frank Biela to championship victory in 1996. ST05 is suitable for entry into the HSCC Super Touring Car Challenge in the ST2 – class. Included with the sale is a spares package comprising; gear ratios 25+, 8 wheels, 4 shock absorbers, 2 sets of disc brakes & bells, and a box of used small parts. *Available to the purchaser by way of separate negotiation and at a cost of £12,000 is a rebuilt ST1-class spare engine with sub-frame. AUDI A4 QUATTRO STW / BTCC No SF 37 ORIGINAL Super Touring Car ex Audi Sport / ABT TEAM. Mattias Ekstrom from 1998 winned many races with the car in circuit racing with ABT team. Later owned by Jose Antonio Fombona multi hill climb championship winner in Spanish hill climb championship. From 2011 Cabilis Performance racing team is using the car for the hill climb championship having only wins and achieving new hill climb records. Latest evolution step 9 engine fully revised before 200 km by Lehmann Motoren Technique. The engine gave more 294 bhp on the dyno on pump fuel. Top spec with all the latest suspension + aero updates. 20 wheel top condition + a huge spare part package with new and used parts. Very good condition with no cracks all four have been blasted ready for inspection/powdercoat. Having switched from the works Honda deal of 95/96 , Motorsport Developments turned to Peugeot for their next project in the British Touring car championship. This, the first 406 of 1997, chassis PR 001 driven by Tim Harvey is presented in good usable condition having been the subject of much recent overhaul work. The engine is fresh, the gearbox has done only limited running since its last outing 3 years ago , spare sets of wheels and various other essentials are included making this not only a very competitive package but a great investment for the future. Car is located near Stuttgart in Germany for viewings, all potential customers will have their interest forwarded onwards to the owner.